According to California Penal Code § 594 vandalism is defined as maliciously defacingi, damaging or destroying the property belonging to another. This code section applies to both real property and personal property. Vandalism is a “wobbler” and can be charged as a misdemeanor or felony. If charged as a misdemeanor there is a fine up to $1,000 and jail time up to 1 year. If charged as a felony the fine rises up to $10,000, and in some cases up to $50,000 and a sentencing triad of 16 months, 2 years or 3 years. Simply put in California if you deface, destroy or damage the property of someone else, you could be charged with vandalism. Vandalism doesn’t just involve kids causing neighborhood damage. Vandalism is very serious and has serious consequences. A knowledgeable and experienced criminal defense firm can help obtain a reduction or dismissal of charges in certain circumstances. In addition an aggressive attorney could receive a not guilty verdict at trial. Every case is different and there is no guarantees in your case outcome. But having an respected criminal defense attorney is always better than going alone. However under California Penal Codes §§ 640.6; 640.7, the prosecutor may chose to charge with an infraction if the vandalism is graffiti related and costs less than $250 to repair. Scratching or carving messages on walls, desks, etc. Vandalism using caustic or noxious chemicals. (Penal Code 594.4). It Is Your Property: If the property is your property then generally you cannot be charged with vandalism. However, if the property is partially owned by someone else, such as a spouse, then you can be charged with vandalism. Additionally, if the property is rented or leased from another person and you really don’t own it, technically you could face vandalism charges. It Was An Accident: You did not do this with malicious intent and it occurred by accident. For example you backed you car into a building when trying to leave the parking lot. Although you can be civilly liable for the damage, it is not a malicious act and is not vandalism. Mistaken Identity: You have been falsely accused of the crime and it was not you. Vandalism sometimes is done on behalf of a criminal street gang. If that is the case then the prosecutor can file a gang enhancement under California Penal Code § 186.22(b). Adding a gang enhancement makes a felony vandalism a “strike” under California’s “three strikes law” if there is a conviction for vandalism and finding for gang benefit in the case. For more information about gang crimes see our gang defense section of this website. Vandalism is a very serious charge as listed in the above information. 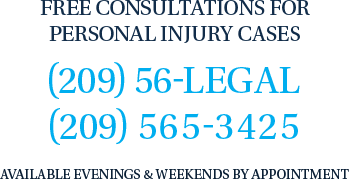 Contact The Bogan Law Firm, A Professional Corporation and speak to a vandalism attorney at 209-565-3425 to schedule a confidential consultation regarding your case.